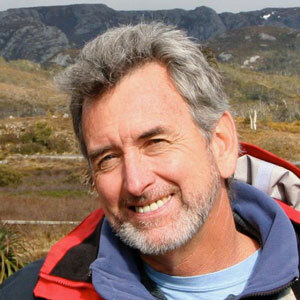 I have celebrated the natural world through quality film and television production for over 35 years. As a Director of Photography credited on over 100 films, I like to work closely with production teams to develop unique and often award winning visual styles that best suit the particular project. As a producer and director, I enjoy bringing challenging natural history, science and adventure projects from story development through screening to audiences worldwide. Earth from Space - In production 2017 - 4 x 60 min eps for BBC 1 & PBS. Spectacular imagery. A new perspective. Character-driven narratives. Always surprising! Underwater camera Minke whales and the Great Barrier Reef. Earth Live - A National Geographic broadcast on July 9, 2017 Jane Lynch and Phil Keoghan took viewers on a two hour live journey around the world, focusing on some of our planets most spectacular wildlife. DOP Crocodile segment, Darwin, Northern Territory, Australia. Saving Africa's Giants and End of the Wild - 3 x hour specials with Chinese basketball and celebrity conservation spokesman Yao Ming in Africa and China for NHNZ and WildAid about the international campaign against elephant and rhino poaching. Narrated by Ed Norton for Animal Planet, Discovery Channel and CCTV China. Co-producer, Director/DOP of Africa and China segments. Emmy nomination. Primal Survivor - episodes in Taiwan and Central Australia, by Icon Films for NGCI. DOP. Great White Sharks - Spawn of Jaws 1 & 2 - tracking a female great white shark in California and Mexico to identify her pupping grounds, with Dr Michael Domeier and the late Paul Walker. Icon Films for Discovery Channel. Field Director and DOP. Weapons of The Wild - 6-part series with WildFury for National Geographic Television International. Writer, Director, DOP. Australia's Wild Places - 6-part series Co-production of NDR Naturfilm, Nat Geo Wild, NDR LMA and ZDF/ARTE, Wild Fury. Director, DOP. 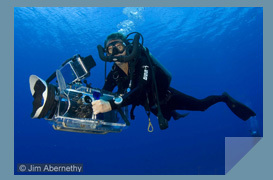 The Great Barrier Reef - 3-part series for the BBC and Channel 9, Australia. DOP - presenter and natural history segments. Life Force - Australia - NHNZ for NHK, Discovery Science and France 5. Producer, Director, DOP. Winner ACS Gold Camera Award. Finalist - Best Limited Series - Jackson Hole. River Monsters - Icon Films for Discovery Channel. DOP - Freshwater Shark, Chainsaw Predator, Tribal Fishing, Anaconda. Great White Odyssey - A National Geographic Special. Producer, Director, DOP. ACS Gold Camera Award. Turtle - the Incredible Journey - SOS, Big Wave productions and Sola Media for cinema release. DOP. ACS Gold Camera Award. Saved by Dolphins and Whale Shark - Big Wave TV for the BBC. DOP Cine Golden eagle Award. Happy Feet - Kennedy Miller Productions and Warner Brothers cinema release. DOP Antarctic expedition crew. Academy Award Best Animated feature 2006. Living Edens - Kakadu - Australia's Ancient Wilderness - For ABCTV and PBS - Producer, director, DOP. ACS Gold Camera Award. The Search for Kennedys PT109 - A National Geographic Explorer Special. DOP. Emmy nomination - 2003. ACS Gold Camera Award. Governors Emmy Award winning production. The Big Blue - The definitive natural history program on the blue whale with scientist Peter Gill - set off the southern coast of Australia where the largest animal that ever lived still comes to feed on krill that thrive here as a result of a sub-antarctic upwelling. For ABC Australia and NHK Japan. DOP. ACS Gold Camera Award. A Brush with Giants - following marine artist Wyland on a journey to the Sea of Cortez to gain inspiration for a mural of the blue whale painted for the city of La Paz. For Beyond Productions and Discovery channel. DOP.